Prominent & Leading Wholesale Trader from Chennai, we offer pencil pouch, travel pouch, fur pencil pouch, blue pencil pouch and fur pouch. Design with perfection, we are presenting a stunning range of Pencil Pouch. Our offered bag range is known for its waterproof quality. 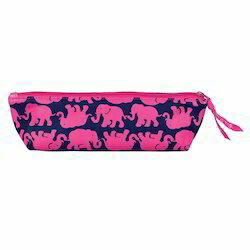 Pencil Pouch is highly appreciated for their alluring design and colors. This range is available with us in various fashionable looks and design. We offer to our clients a high quality of well designed and excellently stitched Travel Pouch which is available in a variety of colors and different sizes and the clients can choose from the available variety as per their tastes and choices. These Travel Pouches are available in several designs and they are very spacious and can be used for storing a variety of essential things while traveling during the trips. We are offering a wide range of Fur Pencil Pouch to our patrons. These are made under the supervision of the best industry experts. 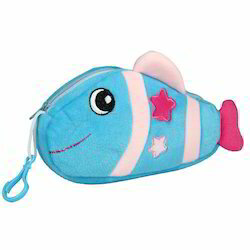 Blue Pencil Pouch are designed with utmost precision using quality-tested material and advanced techniques keeping in mind the latest trends of the market.